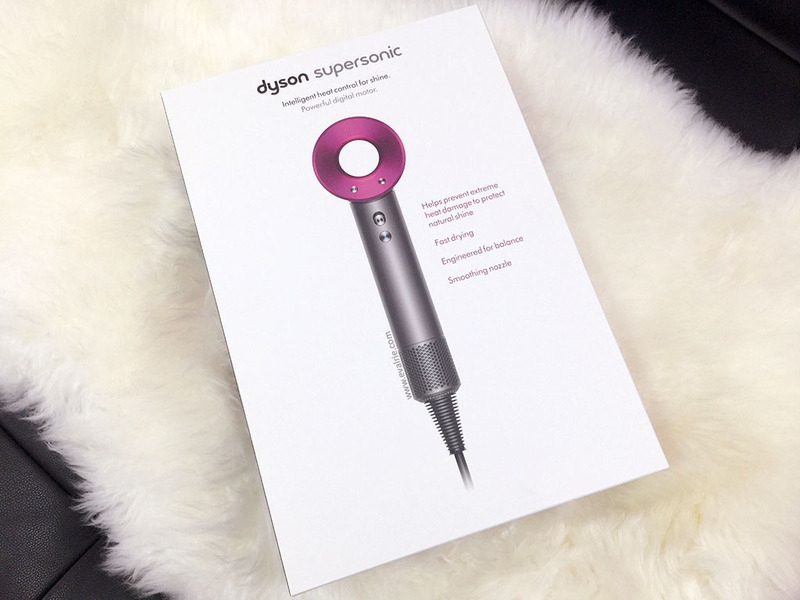 In July this year, Dyson launched the biggest revolution to hit the current, humble hairdryer. Naturally, I couldn’t wait to get my hands on one, even though my 5 year old Parlux is still going strong (sis already called dibs for when I stop using it). 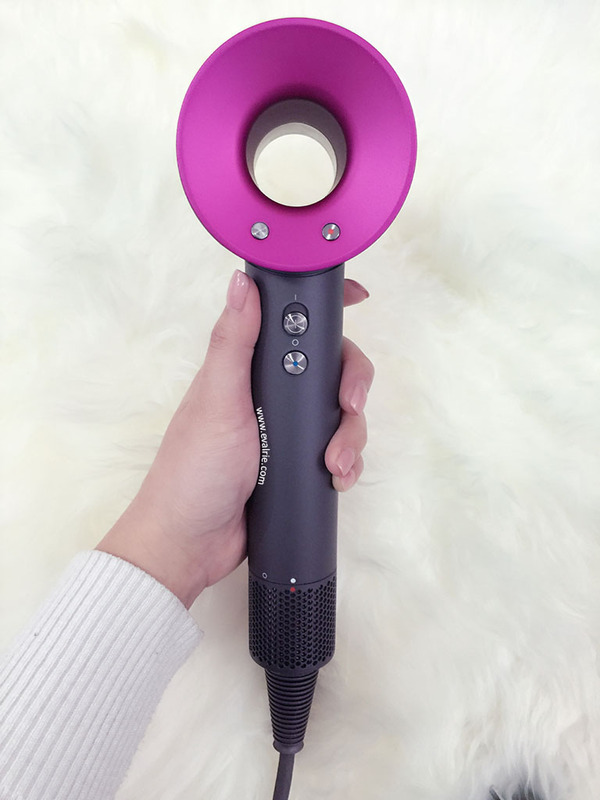 Not only does the new Supersonic completely flip the conventional look and feel of a hairdryer, it also promises a step up in power, airflow, and intelligent heat-control. All wrapped together in a sleek package colour of Fushia/Iron or White/Silver. 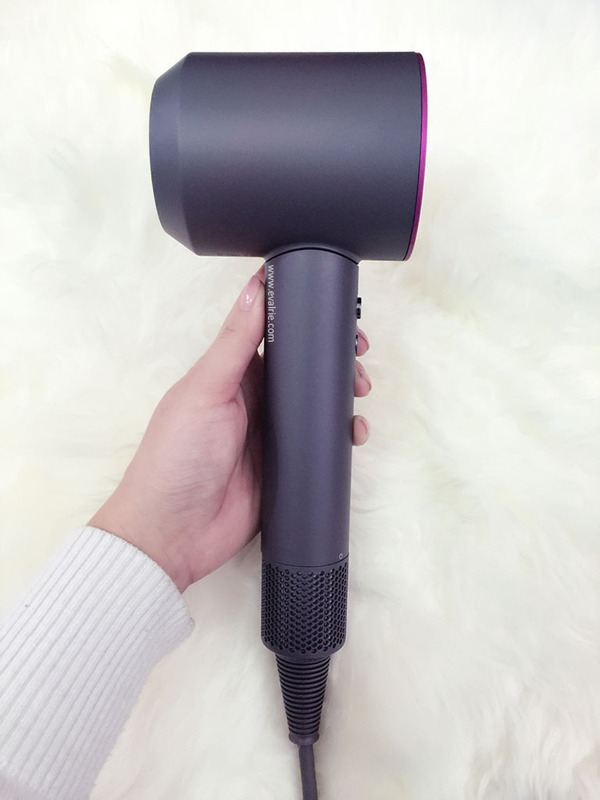 Unboxing my brand new Dyson Supersonic hairdryer! ?? Not only is it a functional piece of revolutionary technology, the design is so amazingly stylish I’ll probably never pack it away again. ? Of course I went for the pink. I’m pretty amused by the storage hanger; this baby will most likely be permanently displayed in the bathroom. No way would I hang it on a hook and chance an accidental fall! Given the $699 AUD price point, it’s so easy to dismiss the Supersonic as an overpriced hairdryer. 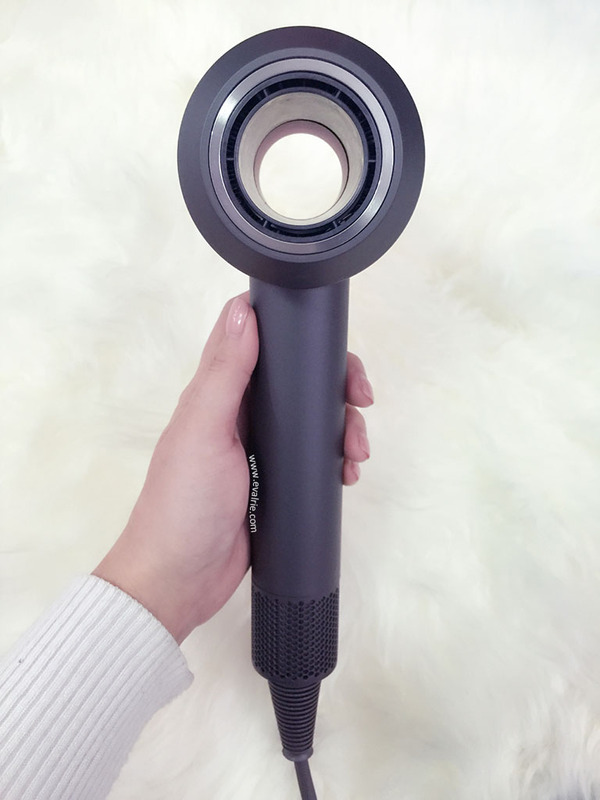 But with its advanced technology and a slew of new features, this is a gadget that requires some user handling adjustments to really allow its benefits to shine through. 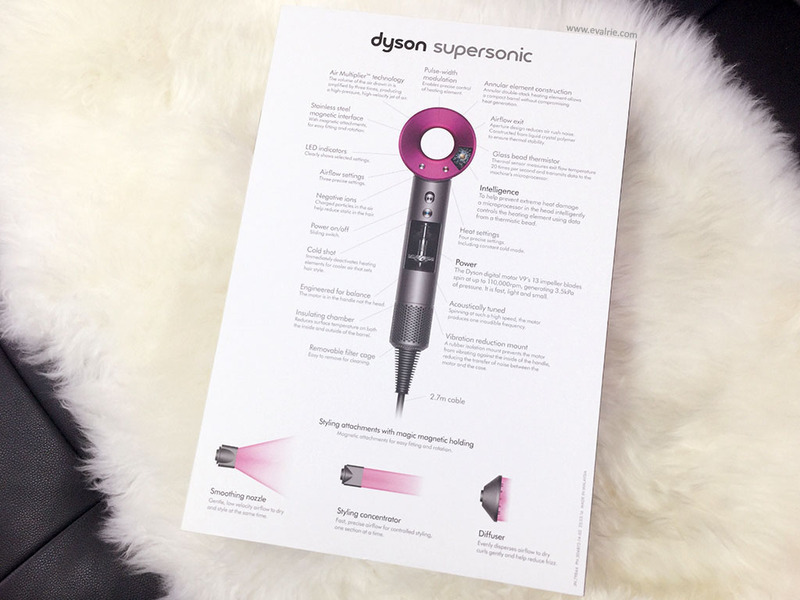 The Supersonic is powered by Dyson’s newest and smallest digital motor, which is placed in the hairdryer’s handle. Coupled with an embedded thermal sensor in the head, temperature of exit airflow is measured at 20x per second and relayed back to a microprocessor for heat-control. Airflow can be customised by 3 speed settings and 4 heat settlings to cater for a variety of hair and styling needs. Much of the engineering also went into the handle, which was designed to insulate temperatures (from motor heat) and reduce vibration and noise. A removable filter cage for ease of cleaning and 2.7m cable rounds up the design. I find fast drying is best used without a magnetic attachment (yes, magnetic! Ingenious). My hair speed-dries to 80% within a couple of minutes, before I put on a smoothing nozzle to ease frizz and quick-style to full dry. When I’m feeling exceptionally luxurious on time, I section the hair and switch to the styling concentrator for a more directed airflow. After multiple uses, I’m a full convert to the Dyson Supersonic. My hair now feels smoother and softer, looks shinier, and is less prone to frizz. With the controlled airflow, I’m smelling less burnt hair and it’s much more gentler on my scalp! 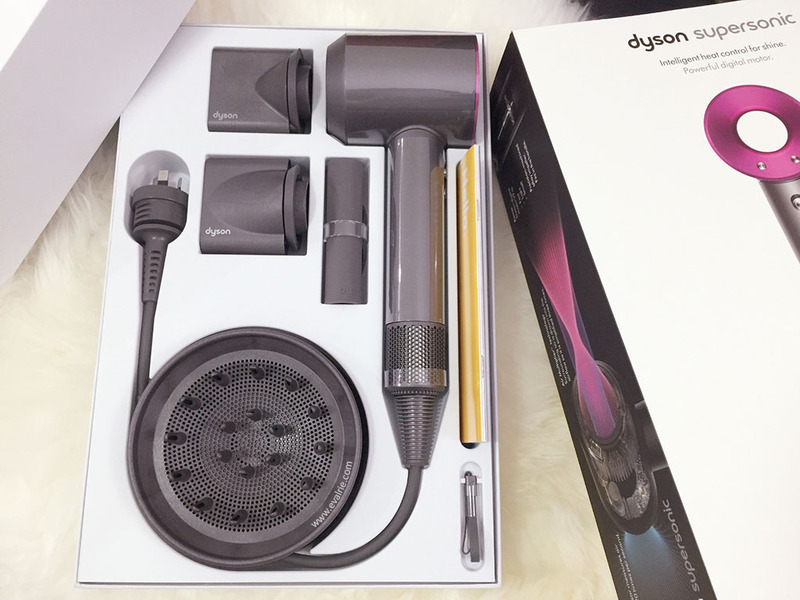 The Dyson Supersonic hairdryer is currently only available at David Jones and Myer or online via the Dyson website. If you haven’t already, be sure to check out their stand in-store! 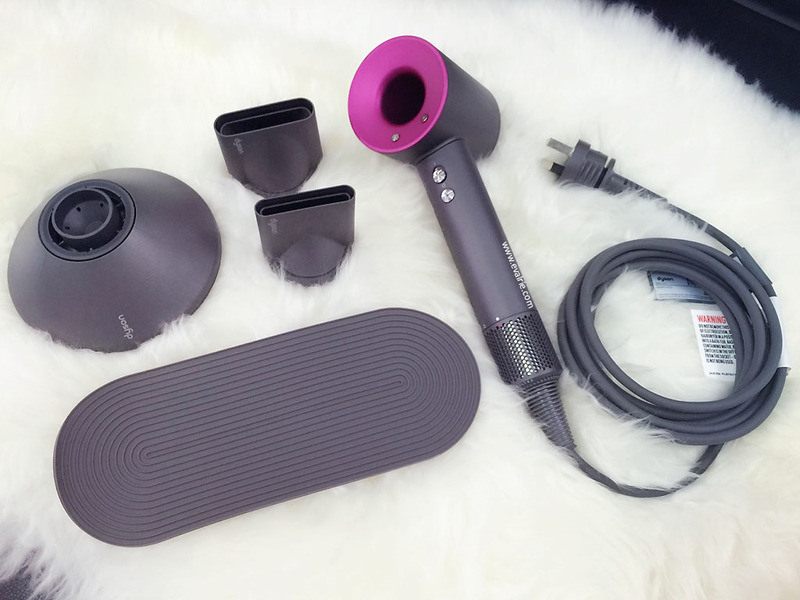 How does the Dyson Supersonic compare to other hairdryers? Review.com has done some in-depth breakdowns! 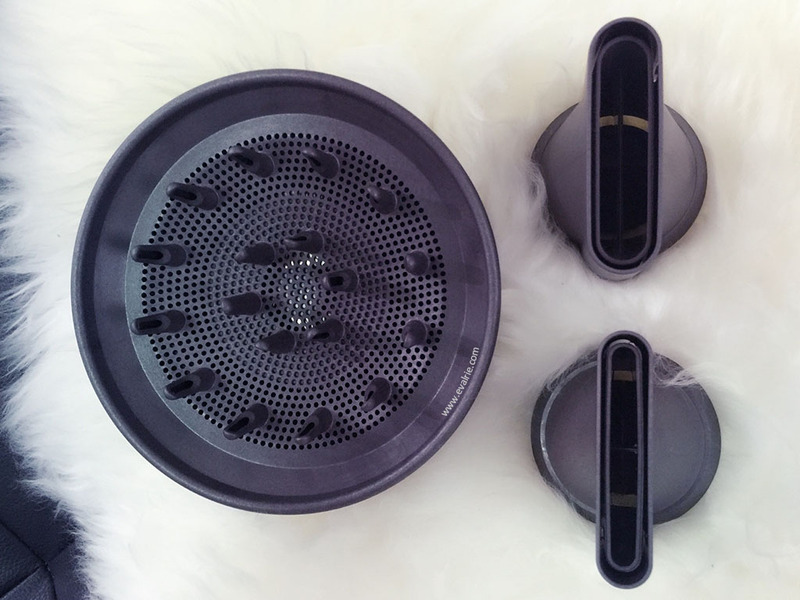 Have you tried out the Dyson Supersonic? 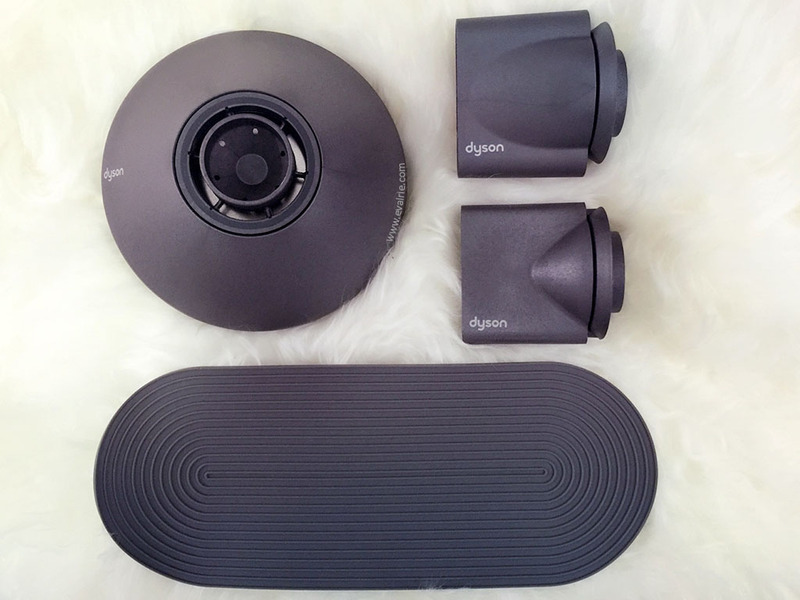 This entry was posted in Hair, Lifestyle, Reviews and tagged accessories, Dyson, gagets, hair, reviews, tools.